Why Choose Fleshman Construction Inspectors? All inspection services are not created equal and deserve to be researched before the company is selected. Make certain your home inspection is valuable with personal customized attention to your real estate needs. Does the Home Inspector work full or part time? Kirk and Drew Fleshman are both full time Home Inspectors. Fleshman Construction Inspectors carry Errors & Omissions insurance. When can you expect to receive my report? Fleshman Construction Inspectors can fax, e-mail or mail a hard copy the following day. Does the Home Inspector belong to any trade organizations? Fleshman Construction Inspectors are members of ACI, Association of Construction Inspectors, NACHI, National Association of Certified Home Inspectors and the BBB, Better Business Bureau. How long will the home inspection take to complete? Every home and every inspector are different; Fleshman Construction Inspectors is unique in that there are two sets of eyes inspecting the property. Typical inspections take 1 to 2 hours. What kind of report does the Inspector provide? Fleshman Construction Inspectors provide a narrative report that is unique to every client. It is a detailed yet easy to read report. Does your Home Inspector have a construction background? Kirk and Drew Fleshman have more than 35 years combined construction experience and have been inspecting since the early 1990s. What if you need a pest inspection? 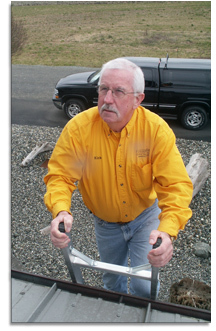 Fleshman Construction Inspectors now offer WSDA licensed Structural Pest Inspections (Lic. # 72227). Make one phone call for all in one inspections. Ask about our special combined rates. What if another company can do the inspection cheaper? Lowest price does not always mean the best deal. A home is the most expensive commodity you are likely to purchase in a lifetime. Choose the company with the best credentials not the lowest price. What if you have questions about the report? Fleshman Construction Inspectors services do not end with the delivery of the findings. We will consult and help problem solve to make sure that our clients are satisfied with their report. Can you be apart of the inspection process? Fleshman Construction Inspectors recommends that clients attend the inspection to get a clearer picture of the property they are about to buy. Unlike most professionals, you probably will not get to meet us until after we are hired. Furthermore, different inspectors have varying qualifications, equipment, experience, reporting methods, and yes, different pricing. One thing for sure is that a home inspection requires work, a lot of work. 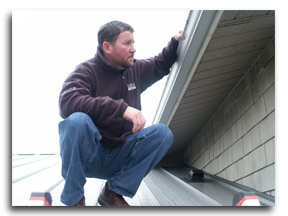 Ultimately a thorough inspection depends heavily on the individual inspectors own effort. If you honor us by permitting Fleshman Construction Inspectors to inspect your new home, we guarantee that you will receive our very best effort. This we promise you. I wanted to sincerely thank you for making the purchase of our first home easier. After being overwhelmed with the whole process and not knowing just whom to trust we decided to call you for a second opinion before we made our offer. Drew Fleshman was professional, knowledgeable and helpful in making our purchase decision. He gave us enough insight about the structure and value of our home and also answered many questions from us both at the site and in the days after his inspection. Thank you so much for your help and patience with us in this process...you were the most pleasant party we dealt with in these stressful months. We'll recommend you to all our friends and neighbors! Thank you Kirk for all your professional hard work and quick response. It is greatly appreciated. Your comments about the heating system prompted us to do more research and we found some issues that would have been costly to fix down the road. I will keep you in mind if I hear of anyone in need of your services I will refer them to you. I wanted to say thank you again for your expertise and your willingness to take the time to help me understand the issues. Your thoughtful suggestions and your professional demeanor throughout this unnecessarily drawn out episode have been most appreciated. The Skagit County is still a place I wouldn't mind living one day. Should I succeed in finding another home there, I will gladly and readily request your services in helping me to make a sound decision. I look foreword to working with you again. Thank you again, ever so, for all your help. Thanks for the survey. We appreciate the thorough job and your comments about the items that need attention. Also, thanks for the prompt service.